You know how I always brag about my clients? I've had many couples ask me if I just say that about all my clients to be nice or if I really have so many amazing clients. The truth is- The vast majority of my clients are out of this world incredible. So incredible in fact, that I could call them friends now. This couple is exactly one of those. Right from the start, they were so genuinely kind and down to earth. I finished photographing their bridal/groomal session and thought to myself.. they are some of the sweetest people I've ever met! You know those people that instantly just put you in a fantastic mood because they're so happy and positive and wonderful? That describes these two are their families. I'm truly sad their wedding came and went so quickly, but I'm so grateful I get to make memories with so many of my wonderful couples. I could go on and on, but I gotta start prepping for today's session! 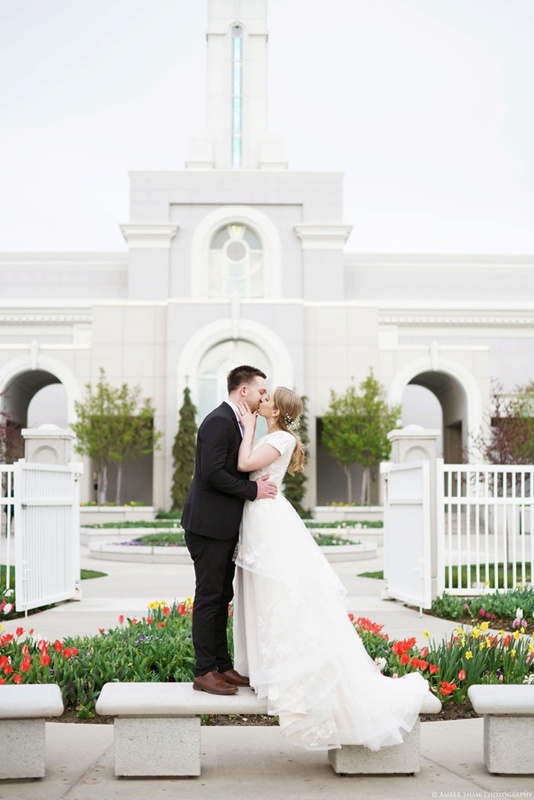 Jenny's gorgeous gown is from Mary's Bridal and isn't it so dang perfect?! And Heritage Gardens crafted their flowers and cake. Ok let's get to some photos! P.S. click here for their bridal/groomal session, I'll also post some of those in this blog post below.